Earn $17.99 in Podium Club credit (1799 points)What's This? 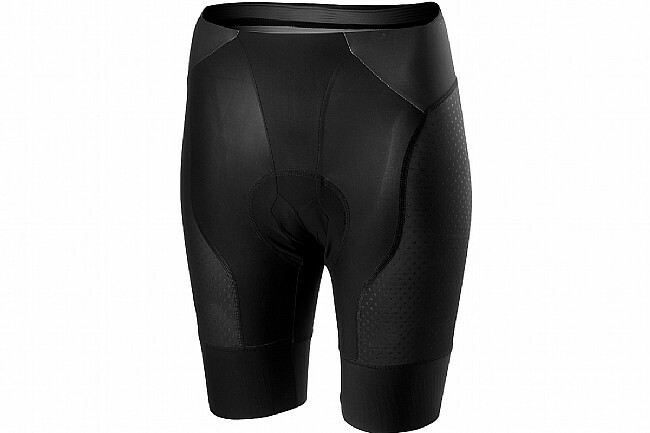 Castelli's Women's Free Aero Race 4 Short features Vortex dimpled fabric on the legs for aerodynamic performance and Forza fabric on inner legs with 38% Lycra® content for a perfect fit. The stripe mesh bib straps are engineered to lie-flat against the body and keep you cool. GIRO4 leg gripper elastic for offers a better grip distributed over a larger area to eradicate constriction. Doppio V construction in front. Progetto X2 Air Seamless Donna women’s-specific chamois.